Condition: very good, given the years passed. Very rarely can find a piece so well preserved, with whole flowers - these are very delicate petals. Dimensions: diameter about 12.5 cm, height 8.5 cm. Base material color is too white, the cover is too loaded with roses, flowers are too high, the drawing is indelicate, about colors ... what to mention? Capodimonte (Capo Di Monte initially) was the most famous porcelain manufacturer in Italy. 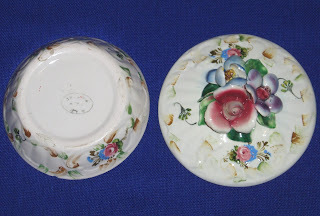 Established in 1740, was the answer Capodimonte Italy for Porcelain factory Meissen, famous in Germany. 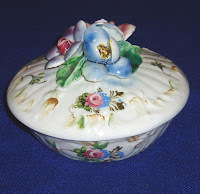 After the factory was closed în1820 Capodimonte (1860, 1880 - according to others), many of the models, their patterns were acquired by the Ginori factory which designs reproduced many of Capodimonte. 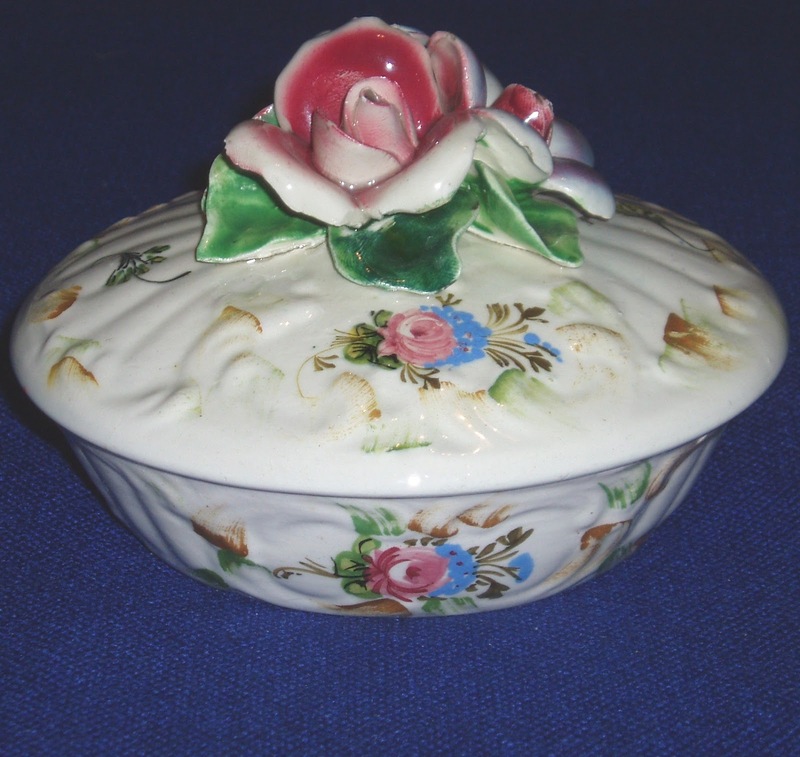 Due to the popularity Capodimonte, enough producers such as Bassano, produced pieces in similar style. Bassano there in 1800 and probably try to compete Capodimonte style taking after closing. Panteo model products is made Naples during the Italian Republic (see French Revolution!) Model continued many years after. Eventually Capodimonte Ginori and Bassano are followers as authentic style.